Now before you jump the gun and say Apple or Adobe did that, allow me a few minutes of your time. I’ll prove to you that this company, Ectaco, isn’t too behind in digital war. It isn’t fighting a war, but defining one with its new effective and innovative products. You have eBook readers, multilingual dictionaries, and communication devices. They have a solution; we never knew we needed. And before we forget, there are pens which second as a scanner. How cool is that? Now, doesn’t that give you major Mission Impossible/James Bond vibes? Look at our full review of Ectaco products, and you will leave with a smile on your face. Such innovation rarely comes along, and when it does, it is our responsibility to sit down and analyse them. ECTACO is an abbreviation for a long and simple American enterprise, which goes by the name, East-Coast Trading Company Incorporated. Established at the turn of the decade, in 1999, in the serene Long Island county on the coast, this digital solutions company took to bringing all the new technology to world arena. Ectaco, therefore, became one of the first companies to use Speech Technology in the field of electronic translation. And that’s not all. One look at Ectaco clients, and you’ll see how fantastic the whole firm is. Not saying anything, but Ectaco is kind of a big-ticket deal for NATO, United Nations, OSCE (Organization for Security and Co-Operation in Europe), FBI, United States Dept of Homeland Security, and much more. Now that’s something you need to sit up and take notice. Let’s go in, then shall we? Hence, let’s dive into the analysis of these devices one by one, and let’s see how the company is redefining the area of digital services. You can Connect the LUX 2 to your TV through a micro-HDMI port and watch your favourite videos online. No issues there. A good translator is worth its input. Lux2 gives you super freedom in putting in input, even via Quick snaps of pictures. Fancy stuff is that you don’t even need the internet to do so. Free Speech Translation. Well simply put, you can just talk to it, and it’ll convert your input into highly accurate translated work. No work for translators here. The device comes with Android OS compatibility. Hence you can easily operate it with new updates. UT183 Cross Translator for 183 languages all built-in, so that you don’t have to worry about any other language packs ever. Just use this device to bring the fastest conversion ever. Of course, a device without help is kind not selling it clearly. Enter, Interactive Language Teacher system with speech recognition. Extensive Talking Dictionary and Phrasebook with human pronunciation is also there. You just must speak clearly into it to bring the best output. Having trouble getting the correct way of speaking out words. Ectaco has you covered, with its Talking Picture Dictionary with pronunciation for all words. The device can also serve as your media powerhouse, with support for formats, Talking Picture Dictionary with pronunciation for all words. Interactive TOEFL entrance exam course materials come pre-loaded. You have them in your device without spending thousands of bucks on acquiring them. You can also download additional Ectaco language applications directly from the Ectaco website with more than 250,000 free apps available via 1 Mobile Market to the Ectaco Partner LUX 2 electronic translators. With an inbuilt English Talking Electronic Dictionary, never again searching for the bulky records for words you can’t explain or define. Moreover, you have a working auto filler, which completes your spelling and phrases. Auto correct will make your life easy. Remember the weird spelling you get in Russian or German. That won’t matter much with on the fly translation. Talking Translation Dictionary is one more useful and essential feature which allows you just to talk it through the confusion of translation. You see, the future is all about voice commands. Alexa, Cortana and Google Now, are powerful AI’s which when used properly can deliver great works. A Picture dictionary with 39 built-in languages, such that you won’t miss language problems. Yes, the world is loaded with thousands of languages, but then apart from the 39, you can always get more via expansion packs and updates. The most powerful Universal translator, which works greatly with around 183 language word. Spoken or written, the translator is adept at picking up the subtle changes in words as well and translate them. Going for that next Euro trip or the African Safari? Well, you need to pick in this thing too. For the adventure freaks, ground conditions validly apply. Hence the device has the Weather Channel. Inbuilt and entirely for free, you can just fire up the app and have a nice little look at how the things are looking. Lifesaver indeed. This comes as a default feature in the Ectaco iTravel 2. It goes without saying that the whole Language Translation Dictionary is highly efficient and brings incredible ease in translation services. Who doesn’t like a game? That too on a smartphone or smart device. Hence, Language Learning Games come into the picture. You have all the wonderful puzzles, riddles, and quizzes to understand the nuances of language training. What’s trekking and travelling the world without some wonderful music to go with it. Audio Book and MP3 Player is here to rescue your long and mundane journey. You can play almost any eBook format (audio supported) and every type of Audio format, making the device super handy in handling multi-format files. Access to tonnes of extra programs via the application store. Now as the device runs on the open source, Google Android OS, you don’t have to worry about any app at all. You can download the local language support, Maps and GPS and much more. The adventure freaks will love this device for it sturdy body and material. The device, iTravl 2, is for the most part Waterproof, shockproof and dustproof. No problem trekking and swimming with this device hung over. The casing is damage proof and will last long, really long. With all the fancy stuff going in, we need something more essential for travellers and people on the road. Don’t worry, since the Ectaco device comes pre-loaded with six sensors, Accelerometer, Sound Sensor, Magnetic sensor, Orientation sensor, Light sensor, and Proximity sensor. Language learning is getting to a stage where we can learn it from our devices with no difficulty whatsoever. You have your audiobooks and applications which take care of your language proficiency, diction, speech recognition, voice control and activities are all there for you. You can practically learn a language from scratch with the latest app. Now imagine this all with Ectaco devices which are specially made for this. Since there are multiple devices which allow for language specific devices; we’ll just look at one of them here. The device in concern here is Ectaco EC500 English – Chinese. Fast, easy, and affordable, the Partner 500 series by Ectaco is a highly efficient language resource for those on a budget. It comes in at a high of 139USd directly from the homepage. Lightweight and portable, the P500 electronic dictionary can fit right in your pocket so you can take it anywhere. That itself is its best feature around when it comes to globetrotting for adventurists. Looking up a word in any language is effortless, just type it in, and you can see the translation right on the large LCD screen. Instant conversions are the biggest strength of the device. Loaded with thousands of words, the P500 will find almost anything you are looking for. Also, the massive 14,000 entry phrasebook makes communicating a breeze. Just pick a category, find a phrase and you’re set. Loaded with sophisticated TTS (text to speech), this talking dictionary will be able to say words and phrases with the touch of a button. You get hours of usage with just 2 small AAA batteries. Whether you’re starting to learn the language or you just need a quick reference, the P500 is exactly what you need. Forget those clumsy chargers you get in the market. A small dash of charge and you are ready to go for an entire day of normal usage. Specifically, for languages – Just type in English or Chinese using the bilingual keyboard and get a translation, definition, part of speech, gender, and many more grammatical references. If that’s not enough, the Phrasebook function has 14000 phrases to list and select with a perfect translation for each. With an inbuilt TTS, the T500 series now allows you to pronounce anything you can type in English and Chinese. Even the device, includes dictionary and phrasebook which make it easier than ever making stuff happen. If you are wondering if you have to purchase a new device every time you want to switch a device, you don’t have to worry about it. For example, if you have purchased a device for English-Chinese, then by default setting you get conversions for these two languages. But in case you enter a Russian territory. Simple, you add the needed Russian program via SD card into the device. Other cool features include things like – English Interface, English-Chinese entry, USA interview utility examination materials, Slang Lock feature which allows you to detect a particular slang for the user. The Dictionary Pen is a major innovative breakthrough for anyone working towards in knowledge of ” the second language”. It is the first example of technology which works for you, in the way you want it to work. The device comes with an embedded camera and a highly efficient OCR technology. This helps the device to look up and record the words via Bluetooth to your system. Simply pass the nib across the word, and it instantly displays the definition and reads the word. The embedded camera and OCR technology enable lookup or translation of words without the need for a single “click”. Simply pass the nib across a word, and it instantly displays the definition and reads the word. The device hosts nine OXFORD Academic and English Language Teaching (ELT) dictionaries supporting six different languages. It’s a totally portable, pocket-sized device that pronounces the looked-up word with a natural speaking text to speech voice. There is no software required to upload the text to Windows, MAC or Linux PC’s. Just connect the device to a computer with a USB cable, and it appears as an external hard drive. Other features include a built-in voice recorder with playback. Look up/translate words in the dictionary in six different languages. Listen to single words being pronounced by natural speaking TTS. As we saw earlier, the types of super HiFi products of Ectaco is bringing out, is revolutionising the publishing industry in ways we could never imagine. We saw translator devices which help you get the right word at the right time; heck even orders the correct cuisine. Also, we saw the introduction of Digital scan pens which automatically scans, defines and records words with ease of writing with it. All these wonderful innovations bring new ways of content production across publishers. We are no longer bound to produce content in one format only. With instant translation, now a reality, the world is opening to new possibilities like never before. 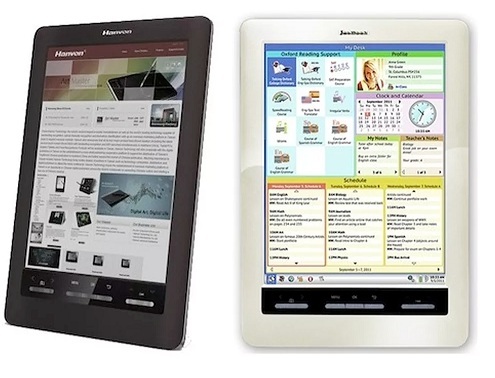 In addition to these devices, Ectaco also comes out with eBook readers under the category name, Ectaco JetBooks. The company claims that it’s model which goes by Alaska Grey variant is the world’s lightest eBook reader ever. With so many products, you can easily claim that Ectaco is perhaps the most innovative publishing products maker in the world. PreviousPrevious post:15 Publishing Tools The Experts Recommend For Best Selling WorksNextNext post:InkBook Obsidian e-Reader Review: Stylish And Efficient, Is It Worth It?